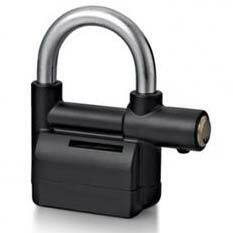 We are offering alarm lock. Alwsi hardened zinc alloy body 110 decibel alarm padlock alarm under water, waterproof auto-alarming system & locking system can be used alarmed or without alarm three tone alarm automatic reset anti-muffle design hot processed hardened stainless steel & anti twist shackle corrosion resistant, weather resistant ice spray proof & resistant against salt and hard weather. Anti drill anti bumper prevents scratching removable alarm module dual shock & movement sensor key arming tamper proof batteries 12 button batteries (digital watch style), battery life: 6 months.